Why The U.S. Is Aggressively Targeting Yemen Yemen is now considered to be "the greatest external threat facing the U.S. homeland in terms of terrorism," says investigative reporter Jeremy Scahill. 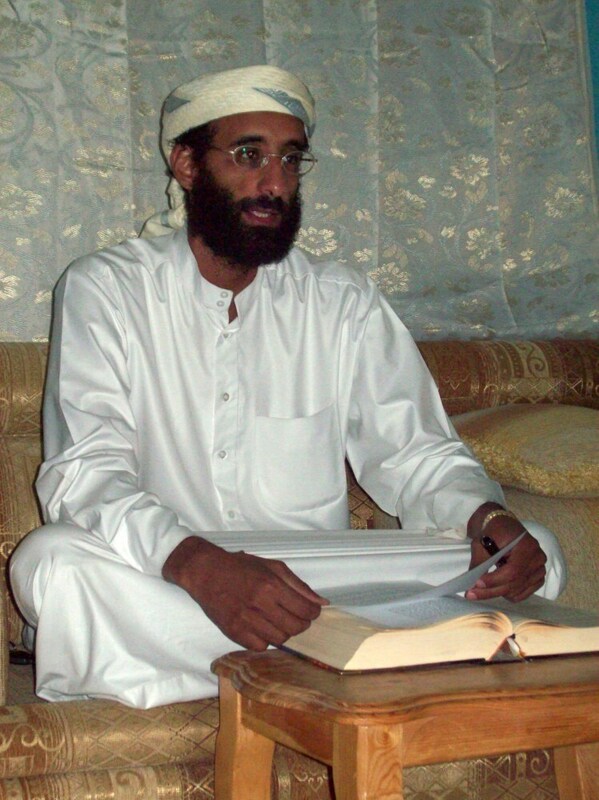 Anwar al-Awlaki was killed in a U.S. drone strike in Yemen. "The United States is doubling down on its use of air power and drones, which are swiftly becoming the primary focus of Washington's counterterrorism operations," writes Jeremy Scahill. U.S. intelligence officials announced last week that they had broken up a plan by al-Qaida's affiliate in Yemen to blow up a plane headed toward the United States. U.S. officials are aggressively targeting terrorists in Yemen, which is now considered to be "the greatest external threat facing the U.S. homeland in terms of terrorism," says investigative reporter Jeremy Scahill. Scahill, the national security correspondent for The Nation, has reported from the ground in Yemen, the home to al-Qaida in the Arabian Peninsula, or AQAP. The group was behind the attempted "underwear bombing" in December 2009 and the attempted parcel bombings in 2010. Scahill talks about the recent leadership shifts in Yemen and increased drone strikes in the country, including one that killed Fahd al-Quso, who played a role in the USS Cole bombing, and the deadly attack against Anwar al-Awlaki, an American citizen in Yemen who was involved with AQAP. Scahill tells Fresh Air's Terry Gross that increased drone attacks by the U.S. military have led to many civilian casualties in Yemen, and a growing resentment and anger toward the United States. "Because the drone strikes started by President Obama's administration in 2009 have not been precise, what I saw was Yemenis starting to say, 'The enemy of the enemy is my friend. If the United States is saying they're fighting AQAP but they're killing our children and our grandchildren and our wives, then we're terrorists too,' " he says. This is FRESH AIR. I'm Terry Gross. The most operational franchise of al-Qaida today is the Yemen-based al-Qaida in the Arabian Peninsula, according to John Brennan, President Obama's counterterrorism advisor. He describes the group as very, very dangerous. Several terrorist plots originated there, including the recent underwear bomb plot, which was just exposed by a double agent. The radical U.S.-born Muslim preacher Anwar al-Awlaki was killed by a U.S. drone in Yemen last year. He developed a following on the Internet and was able to preach to English-speaking people. The Obama administration has escalated its drone attacks in Yemen, and the U.S. is now providing logistical support to the Yemeni military. But Yemen is a country you don't hear that much about. One reason is that it's difficult for journalists to get in. My guest, Jeremy Scahill, was in Yemen last January and has been writing about its militant groups, civil wars and the relationship between Yemen and the U.S. Scahill is the national security correspondent for The Nation and author of the bestseller "Blackwater: The Rise of the World's Most Powerful Mercenary Army." Jeremy Scahill, welcome back to FRESH AIR. Why is Yemen considered to pose perhaps the greatest threat of terrorism to the United States? JEREMY SCAHILL: Well, after 9/11 and the decimation of the Taliban government, al-Qaida operatives started to flee the country, and very famously many of them ended up inside of Pakistan. But over the course of the years following 9/11, a number of al-Qaida operatives ended up going to Somalia and Yemen, and in the mid-2000s there were only a few hundred operatives of al-Qaida. In fact, the group wasn't even called al-Qaida in the Arabian Peninsula. And they were just kind of laying low, and they weren't posing much of a threat to anyone, not the government in Yemen and not the United States. But then in 2009, al-Qaida in the Arabian Peninsula was formed, and some of the members of that organization had an external jihadist agenda to attack both Saudi Arabia and the United States. And because of the connection of AQAP, two things like the attempted underwear bombing on Christmas of 2009 and the parcel bomb plots, you know, it really sort of came to be that it was a primary place on the U.S. radar. And U.S. officials are sort of nuanced in how they've talked about it. They say it's the greatest external threat facing the U.S. homeland in terms of terrorism. GROSS: There's been some recent threats from al-Qaida in the Arabian Peninsula, AQAP, and one of them was that second underwear bombing. Now, it turned out that the bomber was a double agent, who is a Saudi-British national. But just refresh our memory about this plot that was just thwarted this month. SCAHILL: Well, there are a number of notorious, sort of infamous Saudi bomb-makers that are residing in Yemen. One of them, Asiri, is known to have made bombs that can be placed inside the human body. In fact, one of his operatives tried to kill one of the Saudi princes who was the intelligence chief, in 2009, with an explosive that appeared to have been actually inserted into his body. There was the infamous attempt to take down an airliner over the United States, Christmas of 2009, by this Nigerian young man named Abdul Farouk Abdulmutallab, and he had this somewhat crude, but also advanced underwear bomb that many terrorism analysts say could have brought down that plane if it was correctly executed. And so then in recent weeks, we've learned of this, what is reported to be a disrupted plot, an attempt for AQAP once again to send someone onto an airliner with a more sophisticated version of that underwear bomb. And the reports that we have is that it was broken up by this agent. But I feel like I need to say, Terry, that I haven't done my own reporting on this, and while I trust my colleagues, particularly from the Associated Press, who've done a good job in reporting this story, I'm not entirely convinced that we have a full understanding of how this plot was broken up and who the agent that allegedly broke it up actually is. GROSS: What are your questions? SCAHILL: Well, I mean I think that you have to realize that Yemen is just a cauldron of chaos when it comes to intelligence. And you have a number of forces that have their hands deeply invested in Yemen. The Saudis have thousands of people on their payrolls, and they pay off tribal leaders, and the United States actually has a pretty weak intelligence presence on the ground when it comes to human intelligence. And the United States has sort of outsourced its intelligence operations in Yemen to Saudi Arabia and Yemen's security forces. And we've seen repeatedly over the past 10 years the Saudis and the Yemenis manipulate events regarding al-Qaida within Yemen to try to curry favor with the United States or to get more funding. And so I just would sort of reserve commentary, as a reporter who's covered Yemen extensively and been there, on going too far down the line of guessing who this agent was, who he was working for, and what he actually did, because I've seen it too many times where someone's getting played, or someone's getting spun. I mean look at the leaks that came out after bin Laden and all of the information that we thought was true because it was coming from the administration, and in reality it wasn't coming from the men who conducted that operation, and now we learn details that contradict some of those earlier ones. So I guess it's more just learning a lesson as a reporter to let the facts fall before rushing to a judgment about them, and I think Yemen is so complicated that we - you know, a little bit of caution in concluding what exactly that operation looked like is called for. GROSS: So the U.S. has recently increased the number of its drone attacks in Yemen, and recently, through one of those attacks, it killed one of the men believed to have plotted the attack against the USS Cole in the Port of Yemen in October 2000. Who was this guy? SCAHILL: Right, his name was Fahd al-Quso, and it's sort of an interesting story because he was clearly involved with the plot to bomb the USS Cole, but his job that day was not to drive one of the boats to attack the USS Cole but rather to film the bombing as it happened, to use it for propaganda purposes, and he actually overslept and didn't make it in time to actually film the bombing. But over the past decade, since the Cole was bombed, he sort of has been one of the influential elders of the al-Qaida movement within Yemen and has sort of acted as a mentor to some of the younger operatives. And he's infamous, and famous, for his role in the Cole bombing. And he had been arrested at one point by Yemen, and the United States was pursuing him as one of its most wanted terror suspects around the world. And then a few years ago he went totally underground. He popped up a few months ago and gave an interview to a Yemeni journalist, and then the U.S. apparently tracked him down and killed him in a drone strike. And we know for certain that he's dead because al-Qaida in the Arabian Peninsula released a martyr bio of him. It's interesting, Terry, about AQAP and al-Qaida in general - they often do confirm the deaths of their leaders. They generally don't lie about that, and they will issue martyr bios for these people. So it's pretty clear that Fahd al-Quso was killed and was killed by a U.S. drone strike. GROSS: I guess they do that because it's such a good thing to be a martyr. GROSS: In their eyes. I'm not endorsing this. SCAHILL: No, I understand what you're saying. It is interesting, from Afghanistan to Somalia to Yemen, I've heard similar things from various insurgent groups and - or Islamist militant movements, and they often will say we love death like you love life, meaning you the Western world. We're not afraid to die, and you, you cling to your life as your most prized possession. And it's an interesting window into that mentality. GROSS: So you know, somebody else killed by a drone strike in the recent past was Anwar al-Awlaki, the radical cleric who was American-born, used YouTube to get famous and spread his radical message. And he was an American citizen. So that was a drone attack too, and he was a member of AQAP? SCAHILL: Well, yes to your first question. I mean, it was a drone attack, and we believe from the information that's been made public that it was a CIA drone attack rather than the U.S. military running the operation, so it - meaning that it was a very targeted strike. And he's been on a CIA and Joint Special Operations Command hit list, as far as we know, since late 2009, when the U.S. first tried to kill him. On the issue of AQAP, I - you know, I've spent time with Anwar al-Awlaki's family. I interviewed journalists that are very close to al-Qaida in Yemen and talked to them about this question, and I think it's more complex than simply stating that he was a member of al-Qaida or al-Qaida in the Arabian Peninsula. I would say that he was a guy that was radicalized by his experience after 9/11. He was a preacher who actually was saying things that many secular anti-war activists were saying about the sameness of violence, that the attacks on Washington and New York did not justify the deaths of civilians in Afghanistan or Iraq any more than the deaths of Palestinians or Iraqis justify the attacks on the World Trade Center and the Pentagon. And his family members will even acknowledge that they believe he was pushed into the al-Qaida fold. And so you can draw a trajectory where he gets more and more radical as the campaign against him intensifies, as he's locked up in prison, as the drone strikes begin, to the point where one of his last videos, Terry, is Anwar al-Awlaki sitting in front of the al-Qaida flag and basically daring Barack Obama to invade Yemen. So was he a member of al-Qaida in the Arabian Peninsula at the end of his life? It's entirely possible. But I think his story is more complicated than simply saying, well, he joined al-Qaida, and therefore he was a legitimate target. He was never, to our knowledge, charged with any crime in a U.S. court, and so I think it raises a lot of really serious issues about the direction we're going in as a nation. Remember, another American citizen was killed alongside him, a young man named Samir Khan, who was from North Carolina, a Pakistani American, and then two weeks later, Anwar al-Awlaki's 16-year-old son, who also was a U.S. citizen, born in Colorado, was killed in another U.S. strike, and it's unclear who the target of that strike even was. GROSS: What questions does it raise when a drone attack kills somebody in Yemen who is actually an American citizen, even if they're plotting against America? SCAHILL: The first question that as a journalist I would ask, and many constitutional lawyers are asking, is if you believe that this American citizen has done something that is a crime or an act of war against the United States, explain it. Indict him. Charge him with a crime. Demand his extradition. The United States never charged him to any - to our knowledge, it's never been made public - with any crime. So to me, taking off a journalism hat for a second and just as an American citizen, it's deeply troubling that we don't know how American citizens end up on what are essentially hit lists. And it raises constitutional questions, it raises moral questions. It was President Ford, coming out of the era of assassinations and coups of the '60s and '70s and the scandals with the CIA and Watergate, it was Gerald Ford who issued an executive order banning the United States and its employees from committing assassinations. And every president since has upheld that executive order. But this administration has taken it to the extreme and basically has declared the world a battlefield, and anyone that is determined by some committee within the National Security Council to represent a national security threat to the United States is an enemy combatant. GROSS: So who makes up the list of targets? Is it the National Security Council? SCAHILL: Well, no one knows exactly how this is determined, and this is the subject of litigation from the American Civil Liberties Union and other legal organizations. What I understand from the reporting that I've done on this is that we have a committee that is embedded somewhere within the National Security Council, and they vet these lists of people that are potential targets. And some of these individuals come through the Joint Special Operations Command, which is the premier elite U.S. military unit pursuing terrorists around the world. They'll propose military targets. Or the CIA will propose targets to this committee within the National Security Council. And sometimes the president signs off on them, as in the case of Anwar al-Awlaki, but there's a pre-cleared list of people. And this has been true since the early days after 9/11 - there's a pre-cleared list of people that if they are found, they can be killed on-site. GROSS: Well, if you're just joining us, my guest is Jeremy Scahill, and he's the national security correspondent for The Nation. He's also the author of the bestseller from a few years ago, "Blackwater: The Rise of the World's Most Powerful Mercenary Army." Let's take a short break here, and then we'll talk some more. This is FRESH AIR. GROSS: If you're just joining us, my guest is journalist Jeremy Scahill. He's the national security correspondent for The Nation. He's also the author of the bestseller "Blackwater," and he's been doing a lot of reporting about Yemen. He was in Yemen last January. U.S. drone strikes in Yemen have escalated in the past few days. Eleven militants were reported killed on Saturday in Yemen by a U.S. drone strike. What do you know about those 11 people? SCAHILL: Well, first of all, I'm very skeptical of reports that say, you know, 11 suspected militants were killed, because we don't have reporters on the ground that are going to the scene and are evaluating who was killed. The United States is relying entirely on its own imagery from its drones and satellites, as well as intelligence on the ground from Yemeni military officials and Yemeni government officials and intelligence officials who have an agenda to make sure that the United States believes that all the people that they're killing are suspected militants rather than, say, an important tribal leader. And I bring that case up because there was a case where it appears as though the regime of Ali Abdullah Saleh, the former president of Yemen, fed the United States bad intel, telling the U.S. that there's an al-Qaida group meeting in a particular area, and they killed an important tribal leader who happened to be an opponent of the regime. So that's sort of a long-winded way, Terry, of saying that I - I'm not saying that those people were not al-Qaida operatives or that they weren't militants, but what I'm saying is we have no way of independently verifying who these people are that were killed. Colleagues of mine who are in the south of Yemen right now and are on really the front lines of this drone war, my friend Iona Craig, who's a great reporter for the Times of London, was just saying to me that she met civilians who were severely burned from the drone strikes and that one civilian that she talked to said there were 26 people killed in the strike that he survived and was severely burned in. So I think because we don't have reporters there, the door is wide open for propaganda about who's being killed. Certainly there's an al-Qaida presence in Yemen. Certainly there are people that would love to bring down a U.S. airplane and are hell-bent on trying to destroy, you know, any U.S. interests that they can. But there are also a tremendous number of innocent people, the vast majority in the South, innocent people, that are now living under an increasing bombardment. And I'm very concerned about the prospect for blowback in our operations in Yemen. GROSS: What kind of blowback are you concerned about? SCAHILL: Well, when I was in Yemen earlier this year, I managed to - this was before this escalation really started, but I saw it in its early stages. I made it into Abyan Province, which is really one of the central places where this fighting is happening now. And what I was hearing as I traveled around the south of Yemen were reports from tribal leaders, from civilians, even from sort of pro-U.S. government officials within the Yemeni government that American bombs were not hitting the right targets, that there were cluster munitions, these sort of flying land mines, if you will, that were laying unexploded in various villages around the south in Yemen. And many Yemenis were very angry at the strikes that had already taken place and had stories of civilians being killed. In fact, one Yemeni tribal leader, Terry, told me: How is it that I can go and see Wuhayshi, the leader of AQAP, sitting in a restaurant in Shabwah Province, and no one drone-strikes him, but you hit a village full of Bedouins that had nothing to do with al-Qaida? Like, who's giving you your target lists? And I heard that over and over. And so you have this situation now where because the strikes have not been precise, and the Obama administration started bombing Yemen in December of 2009, because they have not been precise in many cases and have killed civilians, what I saw was Yemenis starting to say the enemy of my enemy is my friend. If the United States is saying that they're fighting AQAP, but they're killing our children and our grandchildren and our wives, then we - we're terrorists too. GROSS: We've been talking about U.S. drone attacks in Yemen targeting terrorists and suspected terrorists. It's not just drone attacks that he U.S. is using now to target terrorists. What are some of the other ways that our military presence in Yemen is expanding? SCAHILL: Well, in the past week, Terry, the United States military announced, quietly, but announced that it was sending U.S. trainers back into Yemen. Somewhere between 50 and 100 U.S. soldiers are going to be on the ground in Yemen operating alongside of Yemen's military and security forces. The U.S. basically created a counterterrorism unit in Yemen made up of Yemeni soldiers, and U.S. Special Forces troops for years have been in Yemen building up these units, and the idea behind it was that the U.S. didn't want to send troops into Yemen but believed that there was a substantial threat posed by al-Qaida figures in groups in Yemen, and so they wanted to encourage the Yemeni government to start taking a more active role in actually hunting down and killing these people. But what happened, Terry, is that these forces that the U.S. built up, and it began in the mid-2000s, ended up not fighting terrorism but actually defending the failing regime of Ali Abdullah Saleh. So they were never operating in the territories where al-Qaida figures were believed to be but rather being used to defend the U.S.-backed regime of Saleh as it was crumbing to pieces. And so there was a lot of resentment from Yemenis. They call them the Saleh family military, the U.S.-backed units. They call them the Saleh family military, not the national military. Anyway, so the U.S. builds up that, they have trainers on the ground, and then you have a network of Saudi informants that are inside of Yemen. And then you have U.S. airpower in the form of drones, as we've mentioned, but also cruise missiles that are being launched off the coast of Yemen from vessels or submarines that are there ostensibly to fight pirates in the Gulf of Aden, and there have been a number of Tomahawk cruise missile strikes. In fact, the most deadly strike that we know of in Yemen to date, authorized by the Obama administration, was his first strike in Yemen, and that was on December 17, 2009, and it was not the CIA, and it was not a drone. It was cruise missiles launched from the sea, and it slammed into this village called Al-Majalah, which is in south Yemen, and the U.S. had intelligence that was given to it by the Yemeni government that there was an al-Qaida training camp there and storage facilities for weapons. Well, it turned out that that wasn't true, and the U.S. bombed this village and killed 46 people, and we know the names of all of the people that were killed. I went there myself. I interviewed a woman who lost her entire family. An old man, 17 of those 46 people that were killed were members of his family. There were five pregnant women among the dead. It was a huge scandal in Yemen, and what ended up happening is that when the WikiLeaks cables came out, we discovered that General David Petraeus, who's now the director of the CIA, was in a meeting with the president of Yemen shortly after that strike where they conspired to cover up the fact that it was a U.S. bombing, and the Yemeni president famously told Petraeus, according to this U.S. cable, we'll continue to lie and say the bombs are ours and not yours. And that kicked off - that bombing, Terry, kicked off a sustained almost three years of bombing by the United States in Yemen in the form of drones, cruise missile strikes, and the backing of these so-called elite counterterrorism units that actually have done very little to fight terrorism and a lot to fight the pro-democracy movement in Yemen. GROSS: Jeremy Scahill is the national security correspondent for The Nation. He'll be back in the second half of the show. I'm Terry Gross, and this is FRESH AIR. GROSS: This is FRESH AIR. I'm Terry Gross. Let's get back to our interview with Jeremy Scahill, the national security correspondent for The Nation. We're talking about the terrorist threat to the U.S. from Yemen and the increasing U.S. drone attacks and military presence in Yemen. The group al-Qaida in the Arabian Peninsula is based in Yemen. The country's president, Ali Abdullah Saleh, who was considered an ally of the U.S. in fighting terrorism, stepped down in February after months of protests against him. He'd been in power for 33 years. The man who had been Saleh's vice president, Abdrabuh Mansur Hadi, is now the president. What kind of agreement did the Obama administration have with President Saleh while Saleh was still in office? SCAHILL: First of all, I think we need to understand, you know, anyone who knows anything about Yemen or has spent time there or followed its history knows that Ali Abdullah Saleh is a master chess player, and he knows Yemen far better than the United States knows Yemen. And so he would create a relationship with the United States where he essentially convinced both the Bush administration and the Obama administration: I'm your buddy when it comes to terrorism. I'm going to give you free access to this country. You can do strikes against al-Qaida people, but I want you to build up our military forces here. And he - Saleh essentially made an agreement with the Obama administration to get an increase in his counterterrorism funding in return for allowing the United States to conduct various operations of its own, unilaterally. And so, effectively, counterterrorism funding for his regime became like crack cocaine. Yemen is the poorest country in the Arab world. His government was extremely corrupt. This was their cash cow, claiming that they were fighting terrorism. And so what you've seen over the past 10, 12 years of history between the United States and Yemen is Ali Abdullah Saleh, when it was convenient for him, allowing the al-Qaida threat to flare up, looking the other way when 23 al-Qaida people broke out of the prison that they were supposed to be held in, actually allowing weapons to be smuggled into al-Qaida areas so that they would attack a police station, and then coming back to the United States and saying, oh, we really need more funding to go and fight these terrorists. I mean, it may sound cynical, but anyone who has been studying Yemen knows it's 100 percent true. It's kind of crazy that he was playing this game. And the United States played into it, to the point where even when the world was seeing the brutality of that regime, the gunning down of protesters in the streets, a few months before Ali Abdullah Saleh fell, John Brennan, the senior counterterrorism adviser to the president, said that relations between the two governments had never been stronger. GROSS: There's a new president in Yemen now, and he's the former vice president from the Saleh government, and his name is Abdrabuh Mansur Hadi. So what do you know about him? SCAHILL: Well, you know, I was in Yemen right before the quote-unquote "election" took place that put Hadi in power. And I say quote-unquote "election" because I don't believe that asking people to vote yes or no is actually an election. And there was only one candidate there. And it was sort of a hilarious to see the fact that his party actually spent money campaigning when he had no opponent. So, you know, he was a guy who was part of the old system, and had - and I wouldn't say he defected to the opposition, but he had started to flirt with the Yemeni opposition when it became clear Saleh's regime was going to fall. And I think that there was a mediated solution between the very powerful tribal sheiks that make up the opposition and the Saleh regime and his political party and his family, that Hadi would be an acceptable figure to both sides in the transition, because Saleh would allow - would still be allowed to keep his control through his family over the security intelligence forces, and also to read Hadi the riot act if he was going too strongly against something that Saleh believed in. And then for the opposition, it was really their only way to get Saleh out. Their priority was, like, he can't be president anymore. So Yemen is in a position right now where I think that there's a lot of forces vying for power. And for Saleh and his people, Hadi was an acceptable candidate because he wasn't going to clean house and was going to keep in place the key figures who have been supported by the United States in the fight against al-Qaida. It's interesting because Saleh's family members still run all of the most elite and powerful intelligence and military units in the country, and they're very close to the U.S. counterterrorism leadership. GROSS: So the U.S. is using drone attacks now to target militants in Yemen - suspected terrorists. And we have a military ground presence - a small one, but a military ground presence there. We're not at war with Yemen. How would you describe our relationship with Yemen? SCAHILL: I think that we're seeing the future of U.S. war fighting in Yemen. I think this is the model that has emerged over the past decade, where President Obama wants to draw down large-scale military occupations, as in Iraq and Afghanistan. And we are going to be, for decades to come, fighting special operations forces, CIA war of attrition against terrorism or against anyone determined to be an enemy of the United States. And I think Yemen is very symbolic of the direction we're heading in terms of U.S. national security policy. The relationship with Yemen right now is one where the United States is dealing with the fact that, for a decade-plus, it supported a regime that was pilfering the resources of the country, repressing its own people, jailing journalists, cracking down on pro-democracy demonstrators and stealing from people across the country - and on the other hand, the United States escalating its bombing campaign. There's an elite class within Yemen that goes to conferences called Friends of Yemen and looks at World Bank studies and International Monetary Fund, but that's just the elite. To the average Yemeni, the United States must seem like a strange friend, supporting the worst among its people, and then dropping bombs that so often don't seem to hit the right target. And I think that that is going to, going forward, going to be a big part of how the relationship between rural, poor Yemenis and the United States is defined. GROSS: So if you're just joining us, my guest is Jeremy Scahill, and he's the national security correspondent for The Nation. We're talking about his reporting on Yemen and his reporting from Yemen. He was there in January. He's also the author of the bestseller from a few years ago, "Blackwater: The Rise of the World's Most Powerful Mercenary Army." Jeremy, let's take a short break here, and then we'll talk some more. This is FRESH AIR. GROSS: My guest is Jeremy Scahill. He's the national security correspondent for The Nation. We're talking about Yemen, the targeted U.S. drone attacks against militants and suspected terrorists there, the small military presence that we have in Yemen. Yemen has a group called al-Qaida in the Arabian Peninsula, or AQAP, that is kind of an offshoot of al-Qaida, but it seems like bin Laden didn't really fully endorse it. What is AQAP? SCAHILL: Well, AQAP I would describe more as an affiliate of al-Qaida central. The real direction that al-Qaida is taking now is to have these sort of regional affiliates that have quite a bit of autonomy. And when bin Laden was in, you know, in hiding in the last years of his life in Abbottabad, Pakistan, it appears as though these affiliates started to really take more seriously the idea that they were their own independent show and that they weren't answering to the big boss anymore. And so you saw, in 2009, AQAP rise up, and it was jointly founded by Saudis and Yemenis. And they sort of set out to declare the liberation of the Arabian Peninsula. And so there was a far more internally focused agenda in Yemen that also was against the Yemeni government, which was a very unusual position for al-Qaida. In fact, in the recently released bin Laden notes that were translated and distributed by West Point Military Academy, the Center for Combating Terrorism, you see that bin Laden was frustrated with this and was saying you shouldn't be attacking these Arab governments. You should be focused on the global jihad, on attacking U.S. interests, and was very frustrated with the al-Qaida leadership in Yemen. This was also true in Somalia, where there is a group called al-Shabab, which recently pledged its allegiance to al-Qaida - a lot of frustration from al-Qaida central with them. There's al-Qaida and the Islamic Maghreb, which is in Mali and Mauritania and elsewhere in North-Central and Western Africa. So all of these regional nodes for al-Qaida are sort of semi-autonomous organizations that have their own local agendas, and in a broader sense, some of their operatives are part of the global jihad. GROSS: So, how successful has al-Qaida in the Arabian Peninsula - AQAP - been in Yemen, either in its attempts to, you know, undermine the government there, or to attack the United States? SCAHILL: I think that the - with a relatively small amount of money, al-Qaida in the Arabian Peninsula has succeeded in shaking into a state of fear the most powerful nation in the world. I think that the U.S. policy in Yemen is a radical overreaction to the proportion of the threat. I think they've been very successful at shaking an empire. And I don't say that with any sense of joy. I say it almost in disbelief that we are so afraid of a few hundred people. And it would be atrocious if an airplane was brought down by an underwear bomber. But let's be clear: This group does not pose an existential threat to the United States, and we are acting as though it does. And I think that that's one of the core problems of our response to Yemen. In terms of their success within Yemen itself, I think that, unfortunately, U.S. policy and the Yemeni government policy of the past 10 years has created a propaganda bonanza for AQAP to recruit. AQAP has tried to rebrand itself for the sort of Taliban-style movement within Yemen, has declared emirates in certain towns in South Yemen, and has begun providing services that the central government is not: electricity, water, food programs. They're engaged in their own sort of counterinsurgency. And so I think that, you know, we've seen a tripling of the size of the core members of al-Qaida in the Arabian Peninsula from, let's say, three or 400 in 2006 to over 1,000 today. And there are also other organizations that, you know, may or may not be directed by al-Qaida in the Arabian Peninsula. There's one, for instance, Terry, called Ansar al-Sharia, which exist in the south of Yemen, the Partisans of Sharia Law. GROSS: And so they're related to AQAP? SCAHILL: Well, you know, one of the leading AQAP clerics in Yemen a year or so ago gave an interview in which he said that the - he said, effectively, that the al-Qaida brand has been so tarnished around the world, that we need to rebrand ourselves. And he began suggesting that the movement in Yemen call itself Ansar al-Sharia, the Supporters of Sharia Law. And part of the cleverness of it - and bin Laden actually talked about this kind of rebranding himself - is that he didn't want President Obama to be able to say we're at war with al-Qaida. He wanted him to have to say we're at war with Islam. And so if Obama says, you know, we're at war with the Partisans of Sharia Law, it sounds like, well, we're at war with your system of laws and governance. And so it was actually quite clever. So there was definitely a suggestion by AQAP people that this be the term used. And then what you saw happen, it really was - it was beginning when I was in Yemen in January of this year - is that Ansar al-Sharia was a much larger group than AQAP, started popping up in towns around the south of Yemen. One that I made it into is called Zinjibar. And they began taking over these towns and announcing themselves as the new government. And they actually renamed some of those towns. Now, who are these people that are Ansar al-Sharia? There certainly is a core element from al-Qaida in the Arabian Peninsula, and no doubt that AQAP is trying to take advantage of the popularity of Ansar al-Sharia. But my understanding from very well-connected Yemen terrorism analysts, and also tribal leaders in the south, is that Ansar al-Sharia was largely a response to the corruption of the Saleh regime, a response to the attacks by the Saleh regime security forces and the Americans, and that there were many tribes that delegated young people to join these uprisings. So I was told by one well-known Yemeni security analyst that the vast majority of Ansar al-Sharia are angry tribesmen, not AQAP, and that they're operating out of revenge and they're operating out of a sense that the state is done and that they need to build one in their own vision of Islamic Sharia law, which can bring order in chaos. That's, essentially, their selling point. We'll give you bread. We'll give you electricity, and we'll give you law and order. If someone steals your car, his hands are going to get chopped off, and - as opposed to if someone steals your car, you have to bribe someone to get it back. GROSS: That sounds like the Taliban. SCAHILL: It's very much like the Taliban. I mean, I almost never compare any movement to the Taliban. But I do believe that Ansar al-Sharia modeled itself after the Taliban, and really is engaged in a campaign of trying to win hearts and minds. And yet, Terry, as you and I are speaking today, there's a war going on in South Yemen that began just a few days ago, where U.S.-backed Yemeni forces have started shelling these places in the south, where Ansar al-Sharia has been basically operating as the government. U.S. strikes are targeting, you know, the leadership of Ansar al-Sharia, as well as people from AQAP, and you have ground battles going on. You have a ground war going on between U.S.-backed Yemeni forces, a smattering of U.S. soldiers that are alongside them, and these various groups. And who is Ansar al-Sharia? We should be able to answer that question before we declare war against them, because it could be that the vast majority of them are people that are not members of al-Qaida. And then that raises serious questions about what the U.S. is even doing fighting them. GROSS: Now, you said earlier that you thought the United States was perhaps overreacting to the threat posed by al-Qaida in the Arabian Peninsula and other terrorists and militants in Yemen. So I just want to ask you about that. First of all, I know that downing a U.S. plane is not an existential threat to the United States, but think of the disruption to American life if planes were downed, if parcel bombs succeeded in exploding and people were afraid to go to the post office or afraid to open their own mail. But also, I think one of the U.S. goals is probably to prevent Yemen from becoming the kind of failed state in which al-Qaida has a home. Al-Qaida's just, like, free and any other, you know, radical Islamist group is free to set up training camps to recruit, to plot, against us, against other Western countries. SCAHILL: Those are all excellent points and I'm very sympathetic to everything that you said, but let me be clear on what I'm saying here. I believe that what the United States is doing in Yemen right now, in terms of the forces that it's supporting inside of Yemen and the military campaign that it's conducting, is going to make it more likely that Yemen becomes a safe haven for those kinds of groups, is going to make it more likely that you will have an increase in the number of people that would want to participate in such plots against the United States, rather than diminishing the threat. I don't want any terrorist attack to happen against the United States and when I say that I think that we're overreacting, I actually should probably correct myself. I think that we're encouraging the very threats that we claim to be fighting, because we're giving people legitimate agenda or reason - motivation - to fight the United States. When people have the perception that they are under attack they bond together and I think that that's what we are doing right now. We're uniting internal enemies, with each other, against us inside of Yemen and that, to me, is a very, very frightening scenario. If you want to ask me on a technical level, Terry, because I think it's important that you're pointing this out, on a technical level what would I do or what do I think should be done to address the fact that someone wants to bring down an airplane over the United States and blow up hundreds of U.S. citizens with an underwear bomb? What should we do about that? Well, I think drone strikes is not going to solve it. I think killing a bomb maker in Yemen may mean that that man will never make a bomb again, but there are many others like him who will step in and take his place. We have a dearth of intelligence on the ground in Yemen. We have outsourced our intelligence operations to the Saudis, who have their own agenda, and the Yemeni government and the Saleh family that has its own agenda. And so if we don't take seriously, the fact that technology is not a replacement for human intelligence, we are going to be more vulnerable than ever. And I think that that is the real crisis in Yemen: We don't have good intelligence. GROSS: Do you have any sources in the CIA or the military who agree with the conclusion you've just made? SCAHILL: Absolutely. I am, you know, I'm certainly no hawk. You know, I regularly am in debates with, you know, people from the sort of pro-war side of the aisle, and I am stunned by the number of people that I know within both the special operations community and the intelligence community who are saying I think that our policy is failing in Yemen. You know, I think people in the military in particular, in the special operations world, are very concerned about what they're seeing happen now in Yemen, because their job is to be the premier counterterrorism force of the United States and they've watched, over this decade, as the threats in some of these countries have grown rather than diminished. And I'm not saying that these people are signing off 100 percent on everything I say, but there are echoes of what I said in what I hear from them. And part of what I'm saying to you is informed by my discussions with people who work on Yemen for the U.S. military and for the intelligence community. GROSS: Who is creating the policy in Yemen? Is that coming directly from the White House or the CIA, the military? Like who? SCAHILL: You know, I think - I mean the honest answer is I don't know, but my best sense from the reporting that I've done and the analysis that I've heard from people within government and military, is that John Brennan is the chief driver of U.S. policy toward Yemen. Of course, he, when he was in the CIA, was in Saudi Arabia. He spent a tremendous amount of time working on Saudi and Yemeni issues in the intelligence community and in government. GROSS: ...he's the Obama administration's chief counterterrorism official. SCAHILL: Yes, of course. As far as on an agency level, you know, I would say that there's been friction between the CIA and the joint special operations command over who is supposed to be taking the lead in combating terrorism in Yemen and that has created sort of leak wars where you'll have leaks that appear in Washington Post or other media outlets that are intended to sort of imply that the CIA should be given more supremacy over the military in terms of those operations. I think it's a bit of a divided community, but the single official, I think, most responsible for driving this policy would in fact by John Brennan. GROSS: My guest is Jeremy Scahill, the national security correspondent for The Nation. We'll talk about some of his experiences reporting from Yemen after a break. This is FRESH AIR. GROSS: My guest is Jeremy Scahill, the national security correspondent for The Nation. We've been talking about the terrorist threat to the U.S. from militants in Yemen and the increasing U.S. drone attacks and military presence in Yemen. So you spent some time in Yemen in January. You've said it took you like three years to get a visa in order to get in. A lot of the reporting I've been reading about Yemen comes from reporters based in Washington, and it's about Washington policy in Yemen. There hasn't been - I think it's fair to say there hasn't been that much on the ground reporting from Yemen. Would you agree with that? SCAHILL: There hasn't been and part of it is because the Yemenis stopped letting journalists in after 2009 when the underwear plot first happened. They basically shut the country down and it was very difficult for journalists to get in. So many of the journalists who report from the ground there are very young Arabic students who are really learning, as they go, journalism and some of them have done fantastic. Iona Craig is an amazing reporter. Adam Baron is a fantastic reporter. Laura Kasinof of the New York Times, great reporter. And, you know, there's a handful of them and that's it. And, you know, Yemen is sort of a forgotten country that if we ignore it we do so at our peril, I think. GROSS: Tell us something else about your reporting on the ground that you think you couldn't have learned if you weren't there. SCAHILL: Wow, that's an interesting question. Well, you know, I know my mom listens to your show and she probably won't like to hear this, but I really enjoyed chewing the drug khat in Yemen. SCAHILL: And I don't mind if this is on the air, because I actually also have a point to make about this. So they have this sort of narcotic-like leaf that is chewed throughout the horn of Africa and in parts of the Arabian Peninsula and almost every Yemeni chews it. And it's funny, because you see all these half-done construction projects all over Yemen and part of the reason why is that people get up, you know, around 7:00 or so. They go to work. By 10:00 they're talking to each other about which kind of khat leaves they're going to chew. By noon they've sent someone to go and get their khat leaves, or they have gotten them themselves. And by 2:00 people have a pouch full of khat in their mouth and they're sitting in tea houses or in diwans, in their living rooms, and they're chewing khat and they're talking about the world. And they call it building castles in the sky. And so I went to so many khat chews. I went to khat chews with senior Yemeni officials, with Saleh's inner circle. I went to khat chews with members of the U.S. security forces there. I went to khat chews with pro-al-Qaida figures. I went to khat chews with tribal leaders. And you sit there and you talk to people for eight hours and it's people argue, and they agree, and they laugh, and they sing, and you have a window into this incredible ritual in Yemen that is such a big part of their lives. And I would not have gotten access to the places I went, I wouldn't have been able to talk to the people that I did, I wouldn't have been able to travel as freely as I did in Yemen if I wasn't going to those khat chews and negotiating permissions or talking to people and listening to them. And the reason that I'm so struck by that experience is because the United States bans its employees in Yemen from chewing Khat. Every other government allows its ambassadors and other diplomatic figures to go to khat chews. That's where you learn everything in Yemen, is at a khat chew. No one's going to send you an email telling you anything. You have to go to a khat chew, sit on the floor, and chew with people into the night. And that's how you get intelligence. That's how you get permission. That's how you get anything done. GROSS: So you brought it up - describe what the high is like. SCAHILL: I would say that it's an upper. It really opens up incredible, kind of, creative circuits in your brain. You sometimes find yourself talking very fast. You find yourself becoming completely just intertwined with someone else's story that they're telling and imagining it, and your imagination becomes vivid. And you also start to make grand plans with people. We're going to do this. You know, many a meal was planned as I was talking, you know, chewing khat. It's like tomorrow night we're all going to do this and, you know, we don't do it, but it's an imagination. GROSS: So do you think that being high on khat affected your reporting? I mean, obviously it gave you sources you wouldn't otherwise have. It gave you information you wouldn't have otherwise had. It might've affected your interpretation of what you were getting. SCAHILL: No. I don't think so, at all. I mean I would - you know, one of the reasons we started chewing khat when I was there was because we found that we couldn't get anything done because everyone would close down for business at 2:00 and we couldn't get any interviews with anyone. So once we started going to khat chews we could book interviews with people for the morning, you know, when we were completely sober. I wasn't doing formal interviews with people while chewing khat. I was arranging things. But, you know, I definitely recorded a lot of conversations when we were chewing khat and they were very interesting. And when I got back I went through all of my notes. So I really think it had a positive impact on the reporting, but I understand while you're asking me. If someone was running around the United States on LSD and then say, hey, here's my serious reporting you'd say, oh, come on. GROSS: Well, exactly. Well, Jeremy Scahill, thank you so much for talking with us. GROSS: Jeremy Scahill is national security correspondent for The Nation. You'll find links to his articles on our website freshair.npr.org where you can also download podcasts of our show. And you can follow us on Twitter @nprfreshair, and on Tumblr at nprfreshair.tumblr.com.